Adventures Of A Yorkshire Mum: BakerLou, Turning 30 and The Impractical Jokers! I'm not usually one to celebrate my birthday but last week I turned 30 and I decided to treat myself a little bit. You see, I'd been following BakerLou for ages now and had been loving to look of her cakes. So earlier in the year I commissioned her to make my very own 30th Birthday cake. After many messages and choices, we'd agreed on a chocolate cake with a coffee cream and Malteasers as a topper on it. I couldn't wait! In fact, I order it so long ago that it just seemed to take forever for my birthday to come around. 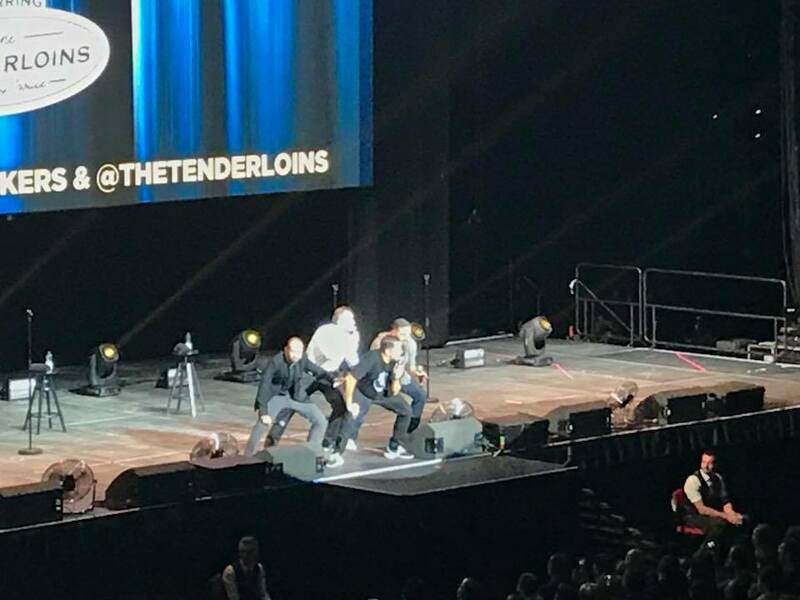 At the same time as ordering my cake, I saw First Direct Arena share a post about the Impractical Jokers and how they were coming to Leeds. Get this... on my Birthday! 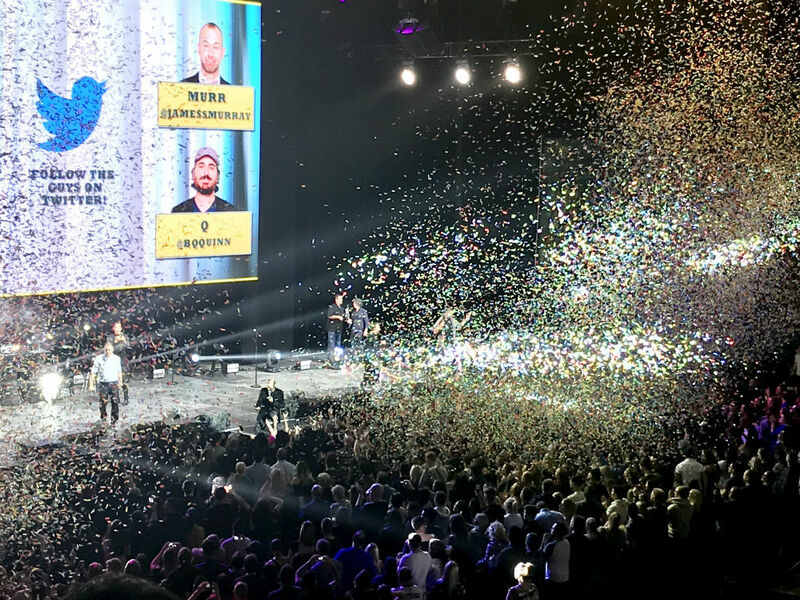 'It's a sign' I told my husband as I refreshed my laptop a million times until ticket sales opened, and I flew through that site as quick as I could to get tickets to see the Impractical Jokers. In Leeds. On my Birthday! We got tickets! We got tickets to see the Impractical Jokers. On my Birthday! I couldn't wait. I adore those guys, they are just so hilarious. (If you haven't seen them then you are really missing out!). I sat and waited for the tickets to arrive just to make it all feel real. And then the big day hit. I turned 30 and BakerLou arrived with this amazing cake and it was so much more than I'd imagined it would be. Two stunning chocolate cakes sandwiched together with a coffee cream covering to entirety of it. 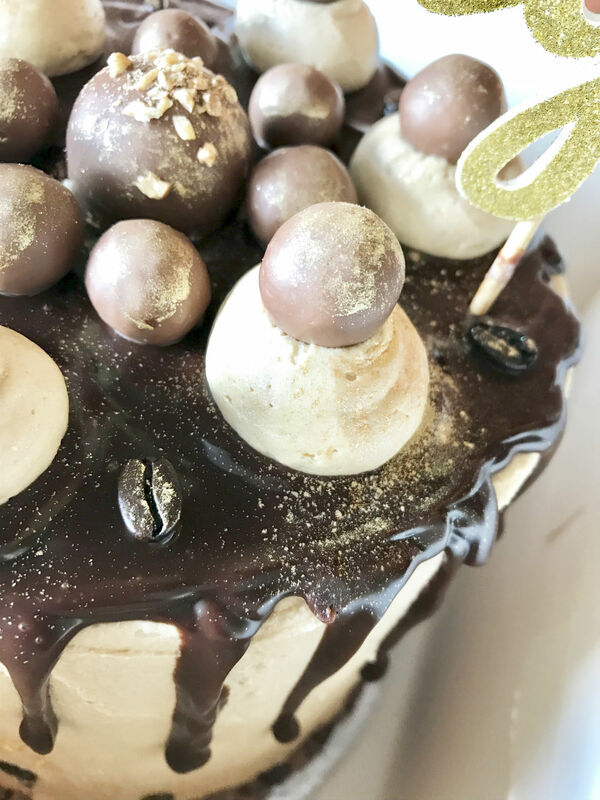 With Malteasers, coffee beans and gold fleck making the cake look absolutely amazing. I seriously felt that I could just face-plant the thing and it would be all good. Excitement isn't the word. I picked the kids up from school, got myself all ready and then my mum came round to look after the boys whilst my husband and I went out. It's the first time ever that we've been out at night together and so it felt so weird. First Direct Arena is fab and we had great seats so that we could see the whole stage. The warm up act was a man called Steve Byrne and he was hilarious. Getting people up onto the stage and getting the whole audience to sing along with him. 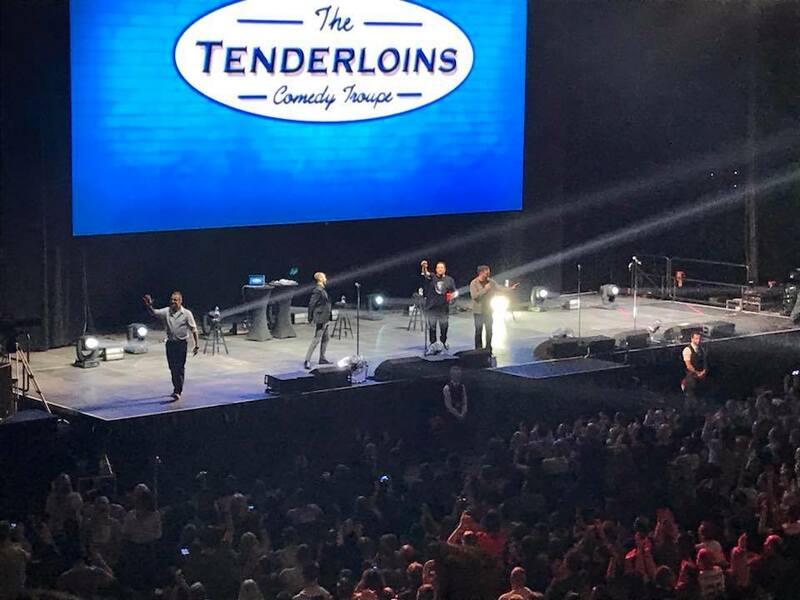 It really did rally the crowd and getting them ready for the Impractical Jokers coming out. And they didn't disappoint. Murr, O, Sal and Joe all came out and were the funniest foursome I have ever seen. Just hilarious. Talking about all things gross, funny and their great bond, it was an amazing show and such fun to be a part of. Now, I'm glad it was my thirtieth as I don't think any other Birthday will beat this one for a long time to come! I'll keep an eye out now!! That's an amazing cake and we'll have to look out for the Impractical Jokers. I hope you had a great birthday! Sounds like you did! That's a gorgeous cake, and what a great night out! Glad you had such a good birthday! what a gorgeous cake. happy birthday. wow looks like you had an amazing birthday,your cake looks brilliant,how did it taste? Belated wishes for a happy birthday. I had never heard of either BakerLou or the Impractical Jokers but it looks like you had a really fabulous day. Wow what a fabulous cake! Sounds like you had a fantastic day too!